Consumer spending may be on the rise in the Euro-zone as indicated by the increase in retail sales this year, and more specifically this August. Sales rose by 0.7% from July but were still 0.3% lower than last year. It is evident that the financial crisis is still luring but these figures indicate a sign of slow but steady recovery. Consumer spending had been declining since mid-2011. The July and August 2013 figures suggest further recovery in the future. However, retail sales are still below the rates seen before the 2008 financial crisis hit. Without a doubt Germany has had the fastest growth with Italy notably accounting for its fastest growth in two years. On the other hand, Spain’s economy contracted. What does the contracting of Spain’s economy signify? Post your comments below! 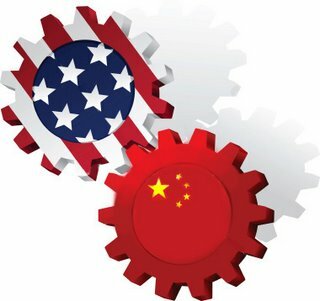 Will China surpass the U.S. to become the dominant trader? As recent as 6 years ago, the United States was the larger trading partner for 127 countries, China only 70. Now, the table turns – China got 124 and U.S. 76. A recent article at NPR points out that this trend is changing the way people live and do business across the globe – the “most abrupt global shift of its kind since World War II”. Indeed, from businessmen to farmers, more and more people are signing up to learn Mandarin. Firms and organizations are looking at the Chinese markets for opportunities and investments. Without a doubt, China has enormous potential to become the biggest trader of goods and services in the world. But not yet. The United States still does the largest trade in terms trade volume, and unlike China who occupies mostly lower-end goods and commodities, the U.S. controls the high-end and most value-added products and services. Most of China’s largest firms are state-owned. It would take these gigantic a while to transform and travel beyond the Great Wall, becoming internationally renowned like GE or Ford. Trade in services is still dominated by the U.S., beyond the reach of the Chinese. Nonetheless, the focus of global lenses is shifting to the East. China has shown prudence in the recent financial crisis and has become politically important at the international arena. With the change of new leadership, China is inevitably facing tremendous opportunities and challenges in this the global economic winter season.